Stann Creek, like Toledo, is a lightly populated district in the south of Belize. Of the 25,000 residents, about a third live in the capital of Dangriga. Stann Creek offers the distinction of being both the second-least populated district and the second largest district in the country. There's 986 square miles of mountains, citrus groves, banana plantations, and diminutive fishing villages. 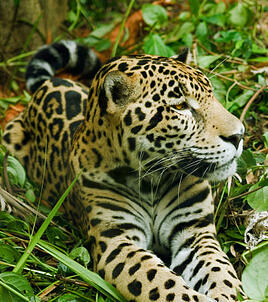 Stann Creek is also home to the world's very first jaguar preserve. Modern highways now connect Belize City and Stann Creek. It's now only a two hour scenic ride. Although it understandably takes a bit longer, bus service between Belize City and the district is also available. Such transportation has been both reliable and prompt. Alternatively, one can take a 20 minute plane ride from Belize City to either Dangriga or to Placencia on the peninsula. All around the peninsula, visitors revel in the joys afforded by the white sand beaches. By contrast, the dramatic Maya mountains offer a decidedly different experience inland. This mountain chain is home to famed Victoria Peak. Offshore, the endangered manatees find a home not far from spectacular coral reefs. One of the newest highways in southern Belize is even named the Manatee Highway. From the 25-mile barrier reef to the jaguar preserve, this country is more environmentally aware than most. Learn more about the nation's eco-tourism by clicking here. Dangriga is known as the "cultural center" of Belize in large part because it is the historic center of the Garifuna people. Enjoy the celebration surrounding Garifuna Settlement Day, and annual November event. Music includes Punta rock and reggae. Both foodies and wine lovers can treat their palates to utterly new delights. Try some fish cooked in coconut milk, some cashew wine, or some cassava bread. The Cockscomb Basin Jaguar Preserve offers a rich diversity of wildlife and plant species in a lush jungle setting. Don't get the impression that Stann Creek is carpeted by jungles. Much acreage is devoted to the vast agricultural enterprises of the area. Bananas, citrus fruits, and mangoes are grown in quantity here. Much of the crop is then funneled through the Big Creek Port to be loaded onto ships bound for faraway destinations like Europe. The Stann Creek District is rich with culture and opportunities for both the adventurer and the Eco-tourist.